Thanks to the services of Helpling, the cleaning of your house costs you only a minute of your time. It takes 60 seconds to book a cleaner in your area. Check the cleaner profiles and compare prices, ratings and cleaning experiences. Find your perfect cleaner with Helpling! Are you looking for a trusted cleaner? We have the solution! Helpling is a marketplace with a wide range of experienced, flexible and insured cleaners in your area. Based on your budget, wishes and location you can find an English speaking cleaner from the neighbourhood that suits you. The cleaners on the Helpling platform are insured and responsible for maintaining their own reputation. 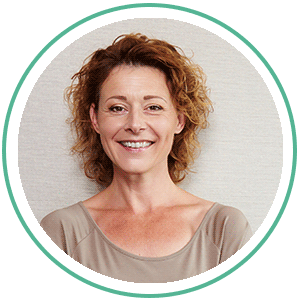 Our platform is just a place to match households with cleaners that provide cleaner service. All the cleaners have their own profile on the website. 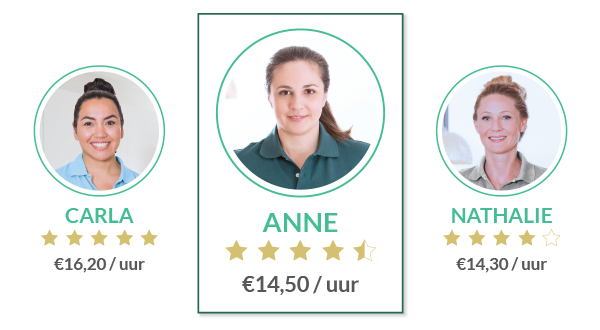 The personal page of the cleaners shows the reviews from other customers, their hourly rate and whether the cleaner has a declaration of good behavior, in Dutch “Verklaring Omtrent Gedrag”. In this way we want to ensure a high and transparent quality of the platform. After completing the booking you will receive the contact details of your help so you can get to know your cleaner. Do you have any questions? Our English speaking customer service is available from Monday until Saturday. By telephone between 08:00-18:00 and by e-mail. You can book a cleaner within a minute. Enter your postcode to check the available cleaners in your area. Book weekly or bi-weekly and have the same cleaner that take care of your house every time. Do you want an occasional clean or need someone to tackle a pile of ironing? No problem, simply book a one-off. Determine the length of your cleaning and what time and date you want the cleaning to take place. Check the profiles, prices and customer reviews of the available cleaners. Select the cleaners that suits you the best. Is none of the cleaners you selected available? We will arrange someone else in the same price range.The final step is to add your payment details. You pay easily and safely online after the cleaning has taken place. Helpling is an online marketplace, so it’s up to you what you pay for a cleaner. The hourly rate of cleaners depends on the average price in their area, their cleaning experience and the fact that they want to do special chores. Think of ironing, window cleaning and doing the laundry. The price for a fixed booking is from €14.30 per hour and for a one-off booking it is €19.30 per hour. You pay safely and easily online after the cleaning has taken place. Suppose that the cleaner has been cleaned shorter than planned, of course this will be processed. If the cleaner needs more time, this is always in consultation. You can view all your invoices on your personal page.